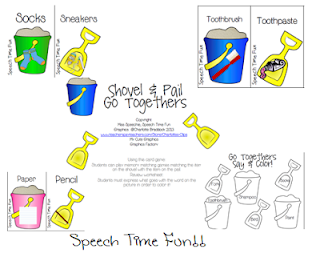 Speechie Freebies: Shovel & Pail Go Togethers! Are you looking for more summer themed materials?! How about building vocabulary through associations?! This freebie is for you!